With the extensive knowledge and experience in this domain, we are offering an extensive range of AC Stirrers Emulsifiers. These products are designed by our experts using top-notch quality basic material and modern technology. 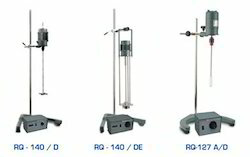 The offered range is made available in various specifications. Furthermore, these emulsifiers are highly demanded by our esteemed clients for their excellent features. 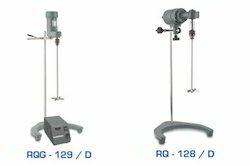 Amidst our wide range of products, we are engaged in offering a broad range of Geared Stirrers. In order to ensure quality of these stirrers, our team of quality auditors tests the entire array on various quality parameters. We provide our entire range of stirrers in different specifications in order to meet diverse needs of clients. Furthermore, these products are designed using high grade basic material and advanced technology. Backed with advanced production base, we have emerged as one of the leading organizations, engaged in offering supreme quality array of AC Stirrers. Our entire range is processed, keeping in mind international quality standards using optimum quality raw material and cutting-edge technology. Besides, these stirrers are widely demanded in several laboratories. Clients can avail the offered range from us at market leading prices. 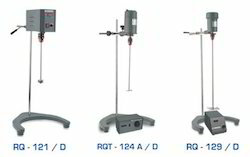 Looking for Remi Laboratory Stirrers ?